Sometimes children are more interested in household items, trying to learn how to use them to help their parents. They see a knife every day when mom cooks. But they are not allowed to use this item for a long time. This instruction will help you in learning your child of safety rules with sharp items. Tell your child the rules of using a knife while drawing to avoid future problems. 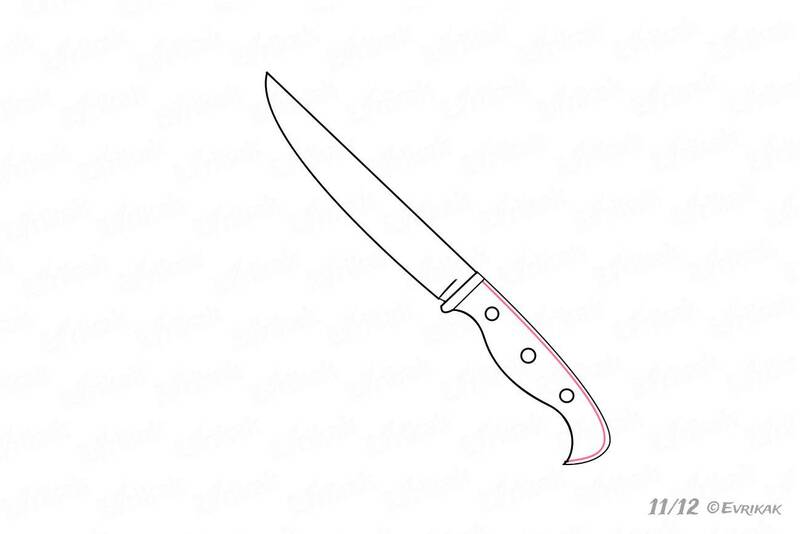 Start drawing the handle of the knife. Draw a line diagonally. It turns at a sharp angle at the top and smoothly – at the bottom. Add a round line at the bottom, which will continue the knife’s handle. 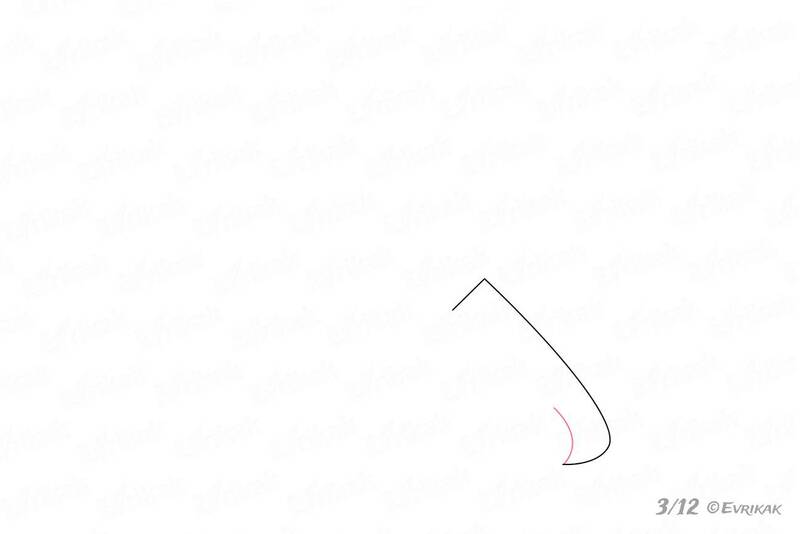 Draw one more line from the lower line to the top, which is curved inside. 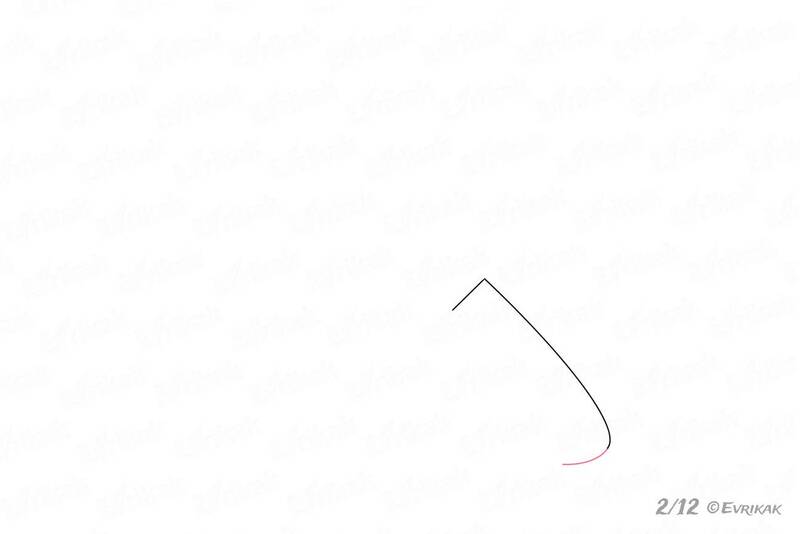 Continue drawing the line to the top, the line is curving from the handle now. Finish drawing the handle with the help of short curved line. Draw a small irregular rectangle on it. The blade is attached to the knife’s handle with the help of this detail. 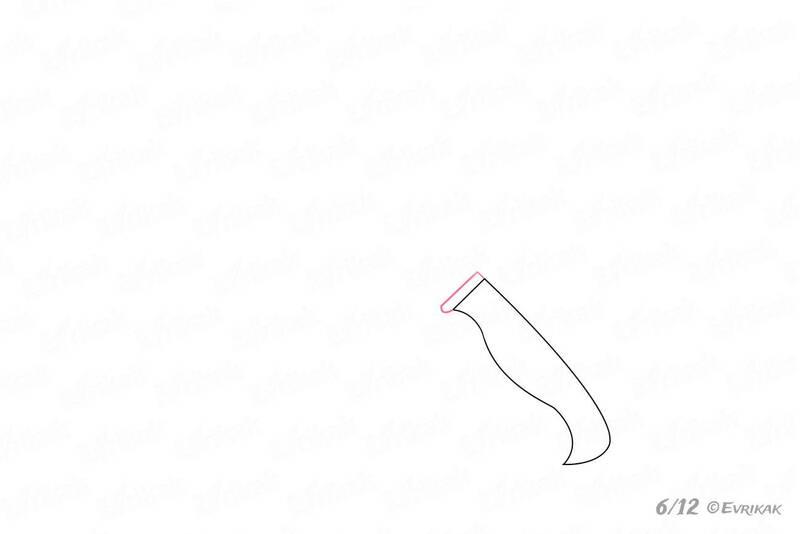 We start drawing the basis at a small distance from the handle. Draw it in a form of two sides of the square. 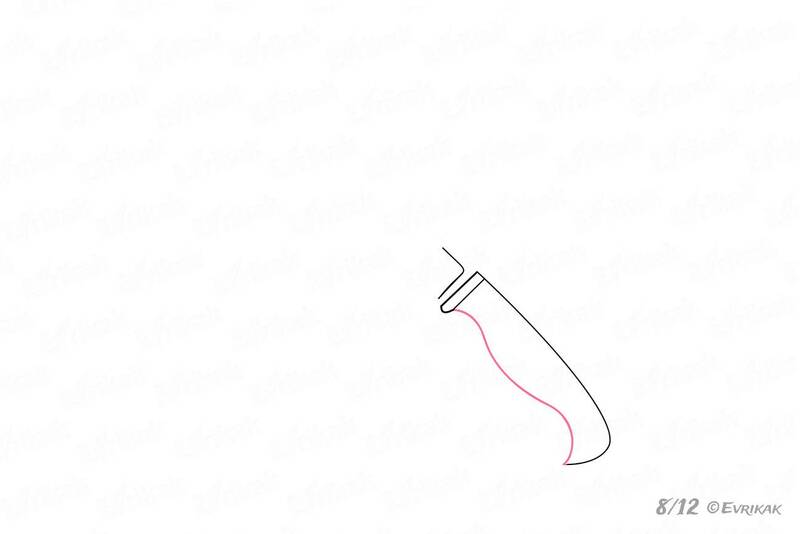 Encircle the handle’s lines and give the right shape to them. 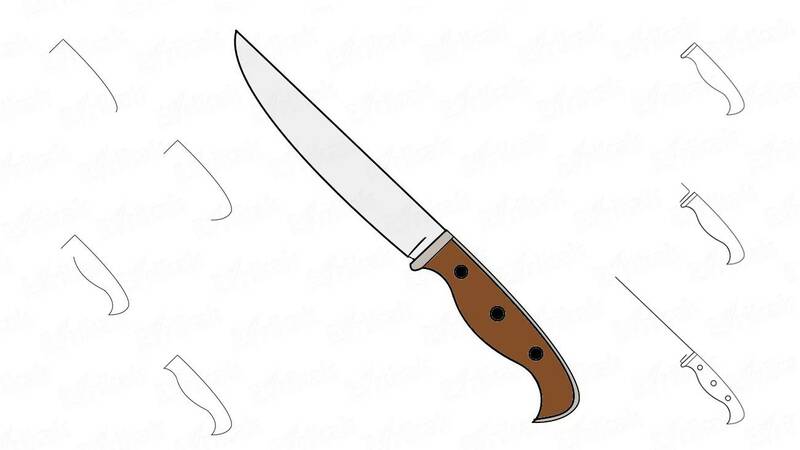 Draw a straight line from the handle to the top.This side of the knife which is not sharpened. 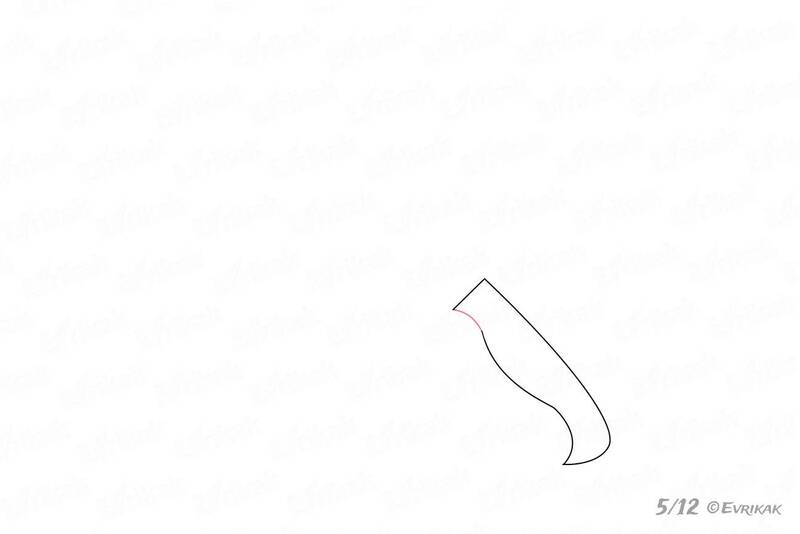 Draw three small circles on the handle. It’s the iron nails, they help the handle and the knife keep together. 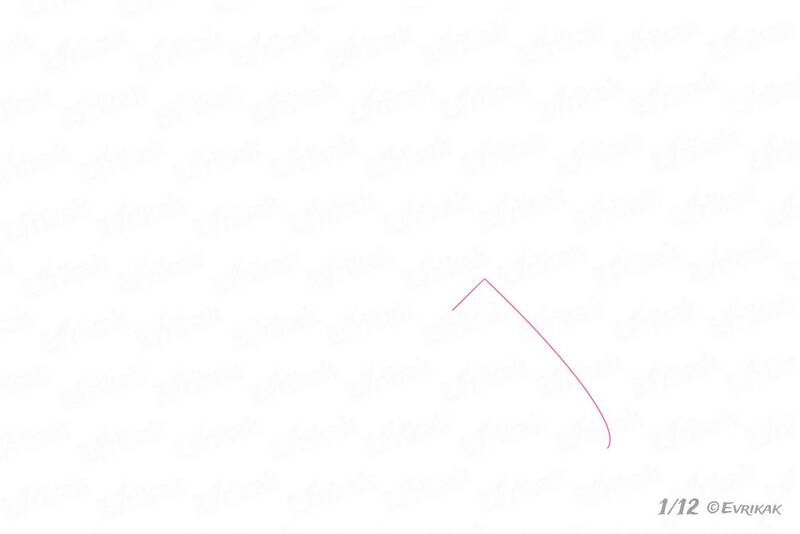 Draw a rounded line from the straight one. This part of the knife is sharp. Draw a line near the edge inside the handle – it will be a rim, which is often on the handles to make them look nice. 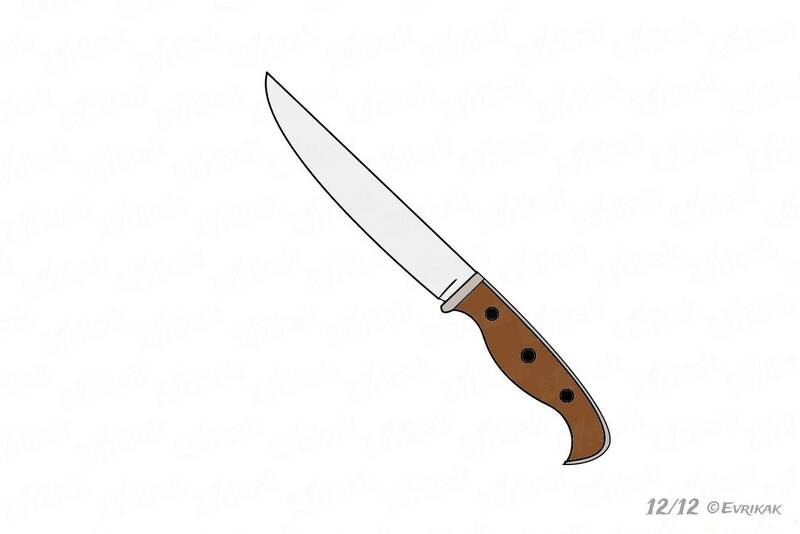 The knife’s blade is always light grey. While the handle can be of any color. We offer you only one variant. 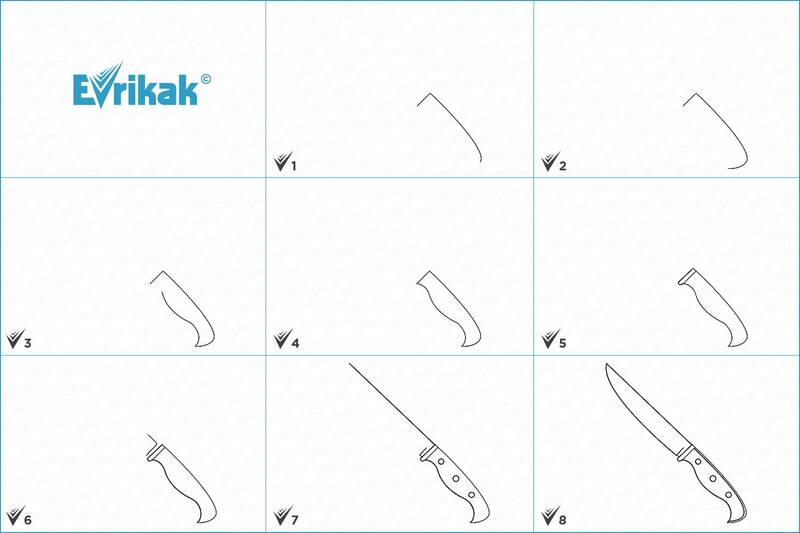 Choose the necessary colors for the filling and try to draw the knife online by your own or with your child.